The Oliver Foundation is a Houston-based 501(c) (3) non-profit operating foundation organization dedicated to the prevention of childhood obesity. We provide technical support, training, and nutrition and physical activity education materials to grant recipients. The level of technical support decreases yearly, creating a sustainable environment when the grant period ends. The Oliver Foundation was founded by Mrs. William B. Oliver (Cluthe) in 1995 and official programs for the Prevention of Childhood Obesity began in 2004. The Oliver Foundation with Baylor College of Medicine has been successful in obtaining weight loss in elementary age overweight and obese kids in the 7th largest school district in Texas. This was accomplished through an intensive intervention program for two years, following 2nd graders through 3rd grade. 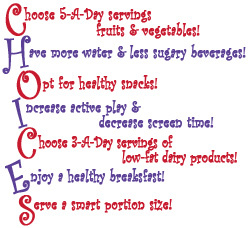 The program focused on the CHOICES messages integrating healthy eating habits and physical activity throughout the school day. Teachers and school nurses were trained by Oliver and Baylor on how to integrate healthy messages in daily classroom teaching so that it begins a healthy habit resulting in an environmental and cultural change in those schools. Teachers said the program was fun to do and did not take away from teaching time. In fact, kids were more attentive, learned from the healthy lessons, made healthy food choices, brought healthy snacks and drank more water. Students also took the healthy messages home to their parents. The key was - the schools were ready for a healthy change.